Tour de France champion, Bradley Wiggins has been voted the 2012 BBC sports personality of the year. 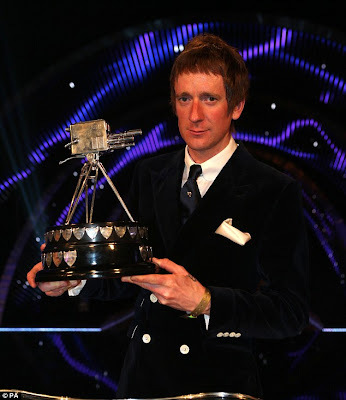 The thirty years old cyclist was the bookmakers' favourite to claim the prestigious annual award after an exceptional year which saw him become the first Briton to win the Tour de France and then claim olympic gold. Wiggins won the time trial at the London games in front of euphoric crowds at Hampton court palace, just days after taking le tour on the champs Elysee in Paris. 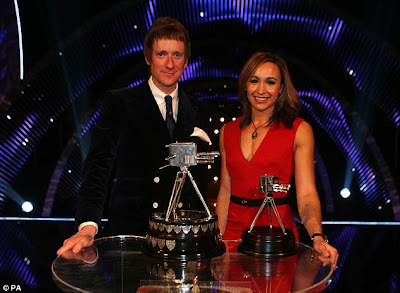 Olympic heptathlon champion Jessica Ennis was runner-up, with grand slam winner Andy Murray third from arguably the strongest sports personality shortlist ever. World record Olympic champion, Usain Bolt, was awarded the overseas personality of the year award, while the team prize went to team GB and Paralympics GB.